With Exspeedite trucking software, you’ll immediately find we are key in getting your company up and running with your new software package. Customers consistently tell us they put up plenty of challenges that Exspeedite creatively overcame. One of our long-term customers has been using Exspeedite trucking software for over a decade. As we train and implement “Go Live” plans for your software conversion, we have the knowledge, skills, and tools to train your staff and do necessary hardware setup remotely. Our team will travel to be with you onsite and get you ready for your “Go Live” week and make the transition smooth and seamless. You’ll find Exspeedite to be very assessable in times of urgent support and will continue ongoing training and consulting as you implement new facets of the trucking software. 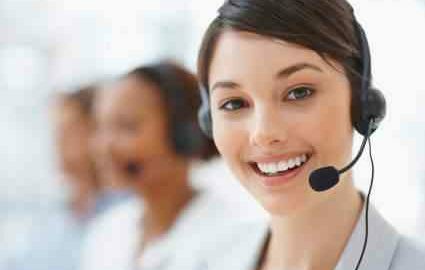 You can be confident in our IT support and will find that our team is very knowledgeable, dependable, and reasonably priced. Exspeedite will get you where you need to go! Exspeedite has proudly and affectionately been accused of providing a “more than excellent product that helps promote laziness!” Sometimes, this is a good thing! Partnering with Exspeedite for your trucking software will be the one single best thing you can do to streamline and simplify your small to mid-size business. Exspeedite provides you with an adjunct employee / project manager for your company. You’ll be consistently impressed with our attitude and overall work performance. Every day, we prove that our communication and interpersonal skills have allowed Exspeedite to develop productive working relationships with everyone on your team. We have superior analytical and technical skills to diagnose problems and quickly offer solutions, and we are able to extract essential information from others. With Exspeedite, we have the reputation of always keeping projects on time, on course, and on budget. Exspeedite is the trucking software service that is the most beneficial dollar for dollar than any other IT service around. Many of our clients are IT experts who know how difficult it is to locate a company who has more solutions than they do! These experts recommend our services to several others who are very appreciative of the referral. We don’t take an excellent reputation for granted and are genuinely pleased knowing we’re optimizing transportation operations for the business who partner with us. Exspeedite trucking software is a turn-key solution for your transportation needs. The software is written in a more current style of programming language compared to existing software, which is antiquated in respect to web connectivity. It handles: Dispatch, Brokerage, Accounts Payable, Accounts Receivables, EDI, Mobile Communications, Repairs and Maintenance on Tractor & Trailer, Tracking, Order Imports, Driver Information with Event Notification. Exspeedite is reliable and dependable to support our software package and are looking forward to partnering with you and grow to the next level in business.